I could hear them laughing behind me as I struggled to get my oversized bag situated and my feet planted on the pedals of the recently rented city bike. I hadn’t been on a bike since I was fourteen, and now, six years later, I was perched on one at two in the morning in Nice. Antoine was looking at me, a slight smirk on his face as I finally balanced myself and unsteadily propelled myself forward. The sea crept closer as my legs grew more tired with each turn of the pedals. Antoine and Chris were in front of Pierre and I, they turned their heads, laughing at us to move faster, the beach was waiting. Two days before, when I arrived at this sea town in the south of France, finally meeting Antoine, my pen pal of three years, I never pictured myself laughing through the empty streets of beautiful Nice, part of this motorcycle gang of two French men, a German and a Syrian, racing towards the dark beach. Now looking back at this adventure around Nice six years later, it makes me long for those chance encounters you only have when you really let go. When you let people be people and get a bit outside of your comfort zone. 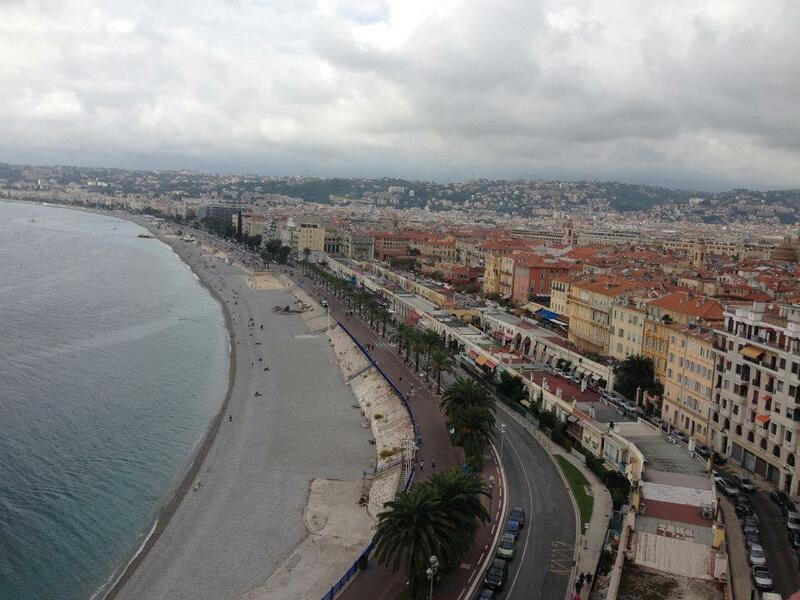 I had no idea that when I landed in Nice on that day in September what adventures I had in-store for me. I learned then that when you stop overthinking and just live that’s when you find the best stories.